Meet Our Team – Giving Tree Associates, Inc.
Our professionals bring years of experience in both consulting and in-house nonprofit roles to help your organization advance its mission. With more than 25 years of experience in the nonprofit field, Amy partners with organizations across a variety of sectors to develop effective fundraising campaigns, build strong leadership teams and empower them with the tools to visualize and achieve mission impact. She brings deep expertise in nonprofit fund development, coaching, training and executive search to every engagement. Amy is known for helping both professionals and volunteers maximize their leadership potential so they can position their organizations for a strong future. A seasoned volunteer board member and community activist, she understands the value of strong lay-professional partnerships and works with organizations to expand the circle of effective ambassadors for their cause. Since co-founding Giving Tree Associates in 2008, Amy has helped clients raise tens of millions of dollars through individual major gifts, foundation and corporate funding. She has also served as a trusted fundraising coach to dozens of executive directors, development professionals and board presidents, enabling them to build strong ongoing relationships with their stakeholders. Prior to co-founding Giving Tree in 2008, Amy served as director of development at Ida Crown Jewish Academy and as director of development and communications at Jewish Council for Youth Services, overseeing a diverse array of capital, annual, planned giving, government relations and marketing programs. 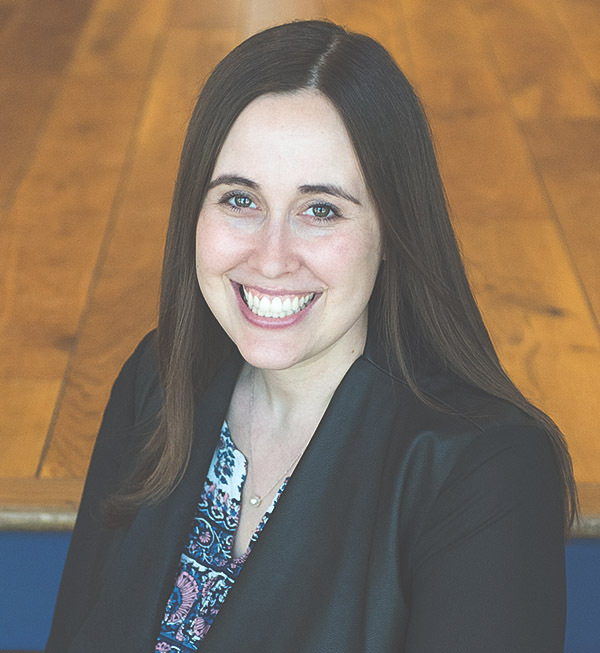 Early in her career, Amy managed the midwest leadership development effort and regional major gifts program at United Jewish Communities, and served as director of campus campaigns for The Hillels of Illinois at the Jewish Federation of Metropolitan Chicago. Amy is a frequent presenter at local and national development conferences, including the Association of Fundraising Professionals (AFP) Midwest Conference and Forefront’s Annual Conference. She facilitated the Montreal, New York, Texas and Miami Leadership Fundraising Academies and has co-designed and served as lead trainer for the PEJE/Prizmah National Endowment Legacy Institutes since 2013. Amy is a Certified Fund Raising Executive (CFRE) and a member of the Association of Fundraising Professionals (AFP) Chicago Chapter, The Association of Consultants to Nonprofits (ACN), Women in Development North and Professional Women of the North Shore; a former vice president of Chicago’s Hebrew Immigrant Aid Society; and current board member of Am Yisrael Congregation. Amy received her bachelor’s degree in psychology from the University of Illinois Urbana-Champaign and a master’s degree in social work with a certificate in Jewish communal service from the University of Pennsylvania School of Social Work and Gratz College. She lives in Wilmette, Illinois, with her husband and two children and enjoys biking, cooking and travel. Since co-founding Giving Tree Associates in 2008, Stefanie has worked in partnership with the firm’s clients to create comprehensive fundraising campaigns, develop strategic plans for sustainable growth and counsel leadership to carry out their missions more successfully. Leveraging more than 20 years of nonprofit experience, Stefanie’s deep expertise in capital campaign development has also allowed her to manage multiple nonprofit building, renovation and expansion projects. She believes that strong feasibility planning is the key to success in any capital campaign. 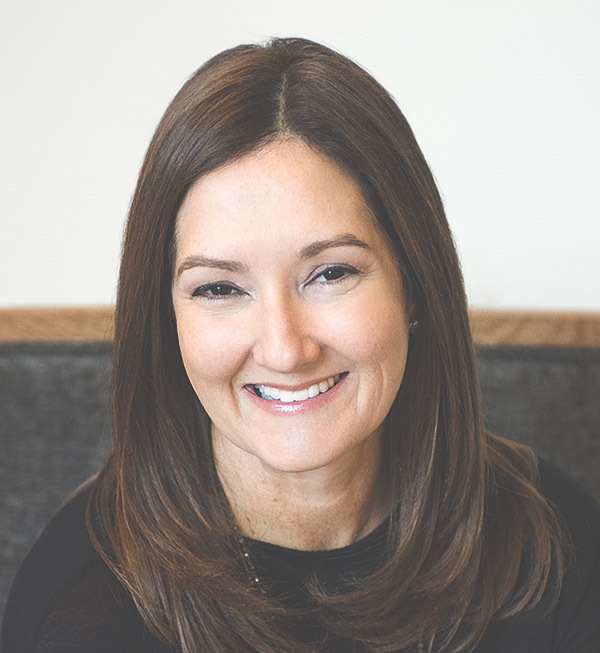 Before founding Giving Tree, Stefanie served as associate director of development at Ida Crown Jewish Academy and directed its $35 million capital campaign. Stefanie also worked as the assistant director of capital projects at Jewish Council for Youth Services, where she raised millions in private, foundation and government funding. Stefanie began her career as the recruitment and volunteer coordinator at Jewish Big Brother & Big Sister Association in Boston. Her wealth of nonprofit experience also includes local and national volunteer leadership positions, and she is a proud co-founder of the United States Holocaust Memorial Museum‘s Next Generation Group. Stefanie received her bachelor’s degree with honors in history from the University of Illinois Urbana-Champaign. She earned a master’s degree in social work with a certificate in Jewish communal service from the University of Michigan School of Social Work and the Sol Drachler Program in Jewish Communal Leadership. She lives in Highland Park, Illinois, with her husband and three children. With nearly 20 years of nonprofit experience, Jamie brings a strategic vision and collaborative approach to each project. Since she joined Giving Tree in 2015, clients have valued her ability to evaluate their practices and offer creative solutions to help them strengthen their base of support. Jamie is also known for helping new nonprofits create the right structure and processes to carry out their missions successfully. She also leads business development efforts for the firm and is part of the management team. Jamie has held leadership roles for several well-known institutions, including the Juvenile Diabetes Research Foundation (JDRF), Rush University Medical Center, Illinois Institute of Technology and the Leukemia and Lymphoma Society. Jamie has first-hand experience securing six- and seven-figure gifts and has raised millions of dollars for both capital and medical research campaigns. After graduating from St. Olaf College with a degree in English Literature, Jamie spent four years working for IDG Books Worldwide, best known for its landmark “For Dummies” series, before transitioning to philanthropy. Jamie is committed to public service in both her personal and professional life. She is a board member of the Oak Park Education Foundation and a volunteer for her daughter’s soccer club. She lives in Oak Park with her husband and school-aged daughter, where she loves to bake, play tennis and plan her family’s next travel adventure. Judy’s nonprofit career dates back nearly 30 years to her time as a counselor in both day and overnight camps. For the last 10 years, she has focused on organizational development and fundraising. Judy’s strength lies in the blend of compassion and expertise she brings to her clients, and in the dedication and leadership she brings to her teams. As the longest-tenured consultant at Giving Tree, Judy joined the team in 2010 and is also a team leader, helping drive strategy as a trusted advisor and mentor to the firm’s senior staff. 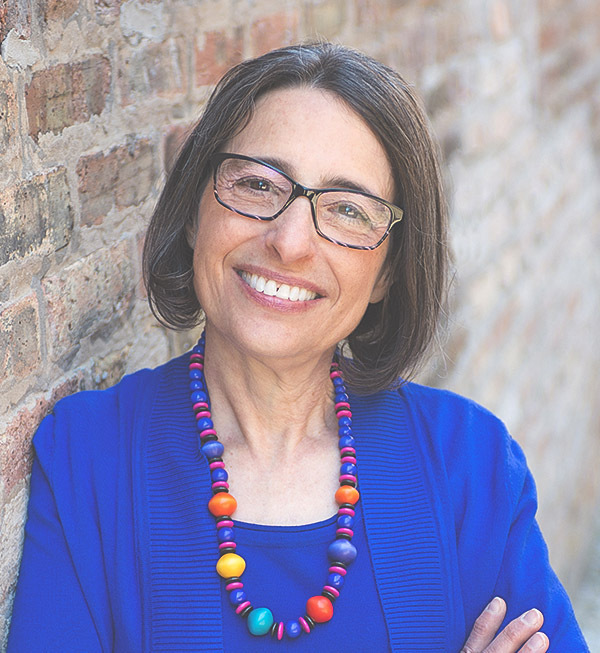 Judy’s previous roles in the Chicago nonprofit community, including Teen Living Programs and Jewish Child and Family Services, provide the groundwork for her understanding of both the clinical and management sides of nonprofit organizations. She is an experienced consultant who offers trusted guidance to support transformational change in the organizations she serves. After graduating from the University of Wisconsin-Madison, Judy went on to complete a master’s degree in social work at the University of Illinois at Chicago. She also holds a master’s degree in nonprofit management from the Spertus Institute for Jewish Learning and Leadership. Judy’s commitment to doing meaningful work carries over to her personal life, where she sits on the board of Emanuel Congregation and is a trustee with the Jewish Women’s Foundation of Metropolitan Chicago. She thrives on the energy and vitality of both city life and nature, and she lives and plays in Chicago with her husband, three children and many friends. With more than 10 years of nonprofit experience, Lisa brings a strategic vision and collaborative approach to each project. Clients love her ability to work quickly, big-picture thinking and ability to build successful teams. Known for her detail-oriented nature and direct approach to problem solving, Lisa is adept at navigating organizational barriers to build consensus and steer each project in the right direction. 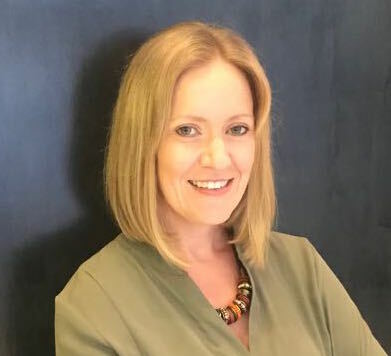 Lisa joined Giving Tree in 2012 and now serves as a consultant and team leader, working directly with clients, driving the firm’s operational strategies and overseeing the associate consultants. 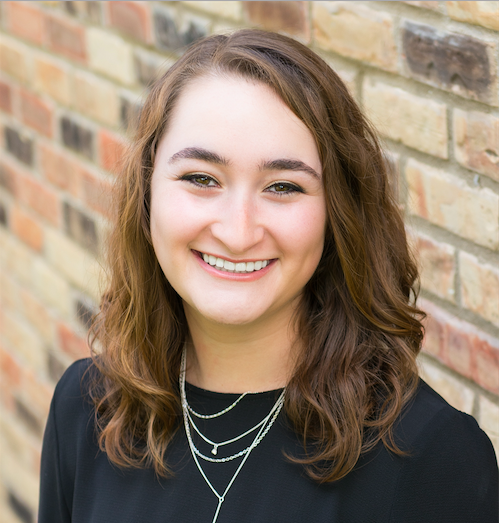 Prior to Giving Tree, she spent three years working in political fundraising before joining JCC Chicago as the program director for JCC Camp Chi. In that role, she helped to develop two new weeklong summer camps, strengthened alumni support while growing the alumni database by 100 percent, and planned Camp Chi’s 90th anniversary celebration. Lisa graduated from the University of Wisconsin-Madison with degrees in political science, consumer science (PR and marketing), legal studies and criminal justice. 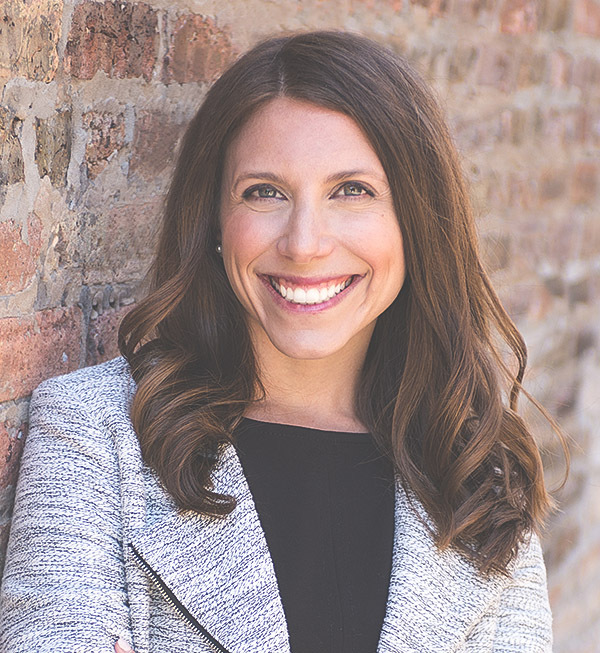 Lisa currently serves as the president of the Young Leadership Division of the Jewish Federation of Metropolitan Chicago and as a member of the alumni committee for JCC Camp Chi. Lisa lives in downtown Chicago with her husband, Alex, and son, Ethan. She loves to try new restaurants around town and is always thinking about the next travel opportunity. Jessica joined the team at Giving Tree in 2018 with more than 13 years of nonprofit experience. She has held leadership roles at a number of notable organizations, including PAWS Chicago and Girls on the Run, and brings significant expertise and a strategic vision to all of her projects. 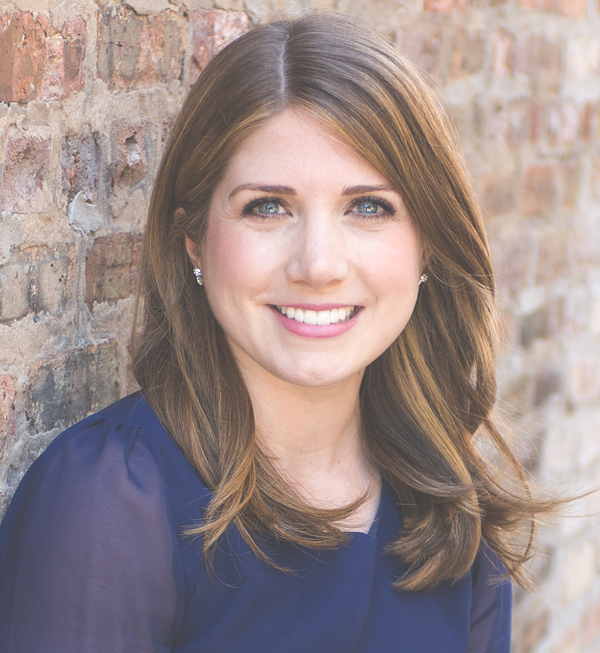 Throughout her career, Jessica has been personally responsible for directing more than 40 large-scale events, securing five- and six-figure major gifts, and designing and executing one of the Chicago area’s largest peer-to-peer fundraising initiatives. Her acumen in giving trends has been a driving force behind her success and her ability to work collaboratively with clients to achieve their goals. 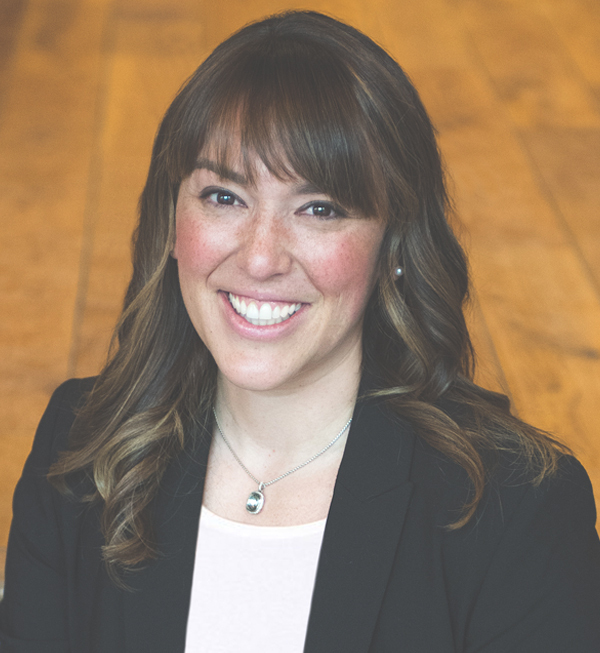 Jessica defines success as designing and implementing renewable funding streams, and places a strong emphasis with her clients on integrating a culture of philanthropy across internal and external communication channels. While she has raised millions throughout her career, she views her greatest achievements through a more deeply rooted, sustainability-focused lens. After graduating from the University of Virginia with a degree in psychology, Jessica spent two years as an elite athlete training to join the U.S. national rowing team while finding her niche in the nonprofit community. Jessica lives with her husband and two young daughters in Chicago’s Old Irving Park neighborhood, where she serves on the local school council for Belding Elementary. With more than 20 years’ experience as a fundraising professional, Tina specializes in working with small to mid-size nonprofits that use a donor-centered approach. Tina’s attention to detail, clear communication and strategic problem-solving capabilities help her clients achieve exceptional results. Before joining Giving Tree in 2012, Tina worked at Lincoln Park Zoo as a major and planned gifts manager. She has also served as the lead development officer at Interfaith Worker Justice, North Suburban Synagogue Beth El and Housing Options. Tina holds a bachelor’s degree in social work from the University of Illinois and a master’s degree from the University of Chicago’s School of Social Service Administration, and she has participated in numerous conferences and trainings on fundraising and planned giving. 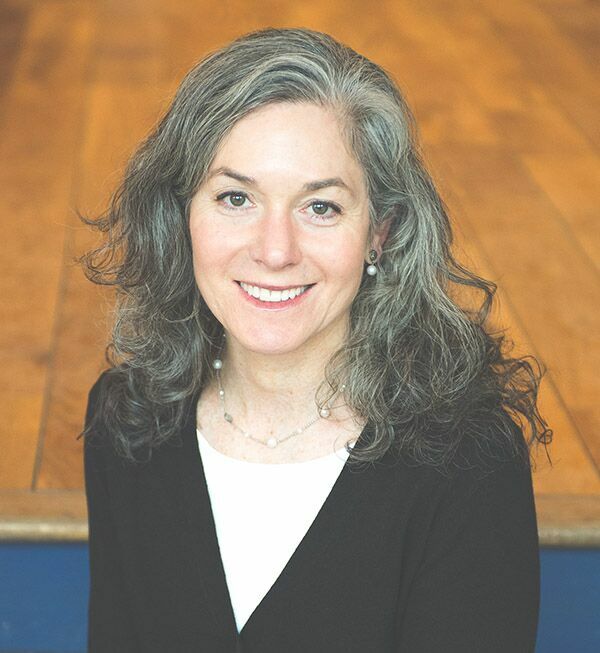 She is a former president of Women in Development North and has served on the boards of Good News Community Kitchen (now named A Just Harvest) and her synagogue, Beth Emet The Free Synagogue. She currently serves on the board of The Selfhelp Home. Tina and her husband live in Wilmette, Illinois. In her spare time, she enjoys bicycle riding, boating and searching for the best mint chocolate chip ice cream. 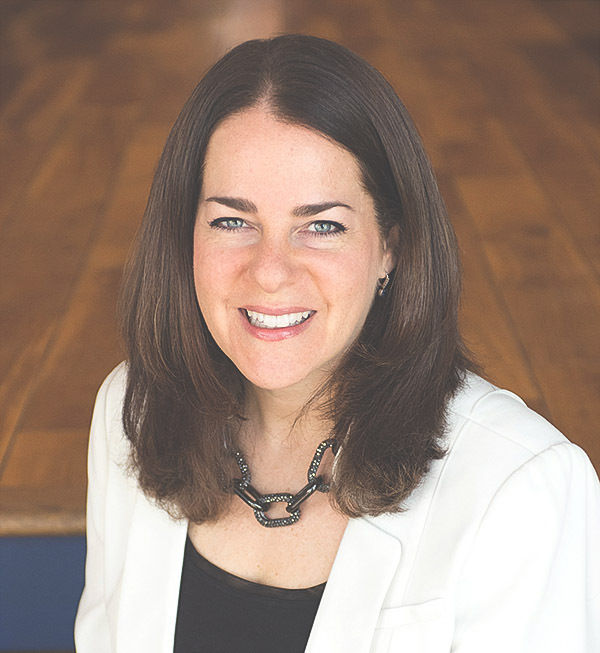 Jane has been a fundraising and development professional for over 30 years in the Chicago Jewish community, currently specializing in capital campaigns. With each project, she brings a breadth of fundraising knowledge and experience that helps to drive measurable results for clients. Before joining Giving Tree in 2016, Jane was the director of the project campaign for Ida Crown Jewish Academy (ICJA), raising $38 million to build a new school in Skokie. Prior to ICJA, Jane worked in annual campaign management, including the development of lay boards and committees, major gifts and event planning for the Jewish United Fund of Metropolitan Chicago, American Technion Society, the United Jewish Appeal and many other nonprofit organizations. Jane earned her bachelor’s degree from Indiana University in education and Jewish studies and her master’s degree from Wurzweiler School of Social Work at Yeshiva University. A dedicated community volunteer, Jane serves on the boards of her synagogue, Congregation Or Torah, and Jewish Child & Family Services of Chicago, and is a former member of the the Jewish United Fund’s Women’s Board. Originally from Highland Park and a mother of three boys, Jane currently lives in Skokie with her husband. Lisa has spent three decades in the nonprofit sector, working with more than 40 organizations of all sizes and stages of institutional development. Her background in arts, education, philanthropy and associations has informed her consulting work, which focuses on organizational development, assessment, strategic planning, board development and leadership transitions. Before joining Giving Tree Associates in 2018, Lisa worked as chief of staff for the PAHO Foundation, director of arts DuPage for the DuPage Foundation and executive director for the Chicago Dance Coalition. As a consultant, she also conducted program evaluations for the John D. and Catherine T. MacArthur Foundation and The Chicago Community Trust. In addition, Lisa serves as a SmARTscope® consultant for the Arts & Business Council of Chicago, conducting SmARTscope organizational assessments. In 2011 and 2014, she served as a member of the Civic Knowledge Project team of instructors at the University of Chicago’s Graham School of Continuing Liberal and Professional Studies, supporting its Board Leadership Certificate. Lisa holds a bachelor degree in education from the University of Wisconsin and a masters of fine arts from the University of Utah. 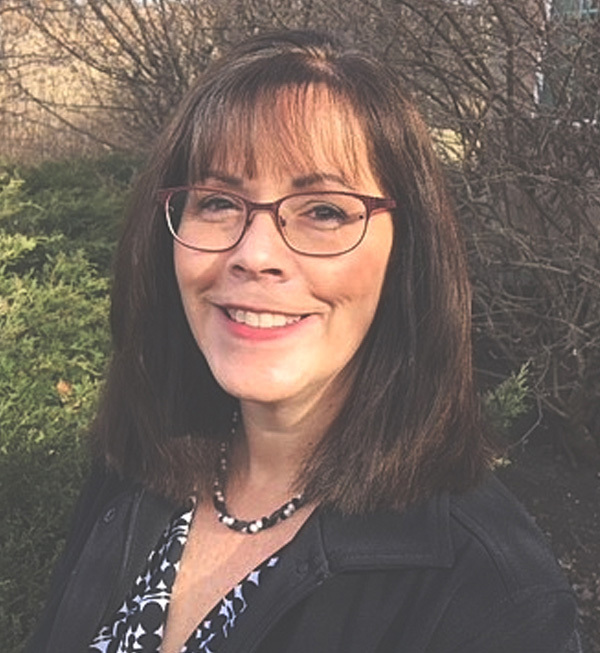 An active volunteer, Lisa serves on the board for the Glen Ellyn Children’s Resource Center, a literacy organization providing educational support services for low-income, immigrant and refugee children. Lisa lives in Glen Ellyn with her husband, where she loves to run, garden, keep up with her book clubs and stay in touch with her college-age daughter. 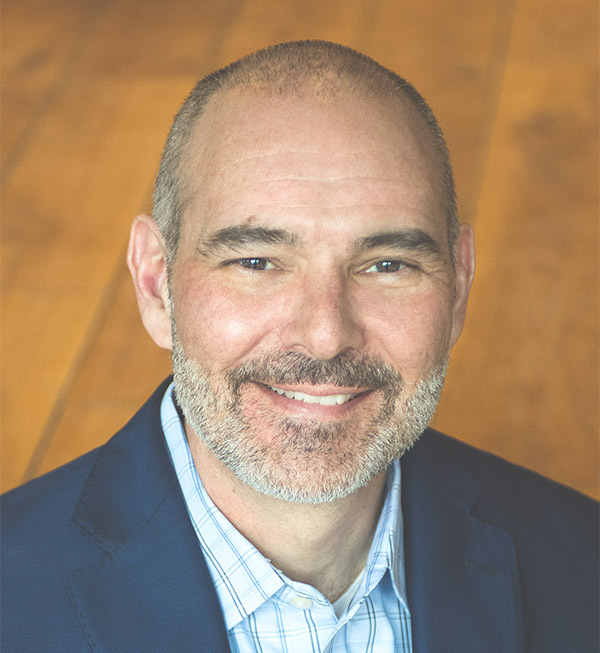 Harrell Wittenstein has worked with nonprofit camps for over 25 years, serving in a number of leadership and consulting roles. Clients appreciate his ability to recommend and implement changes that help them meet their strategic goals and achieve sustainable organizational growth. Harrell is the executive director and co-founder of the Association of Independent Jewish Camps (AIJC), a membership-based association established to help independent nonprofit Jewish camps work together to grow and thrive. Prior to joining the Jewish communal field, Harrell honed his financial skills at Industrial Plants Corp., preparing third-party appraisals of industrial equipment for banks and other credit institutions. He is also an owner and developer of Crystal Park, LLC, a seven-building office complex in St. Petersburg, Russia. Harrell graduated from the University of Illinois with a bachelor’s degree in psychology and political science. He serves on the B’nai B’rith Beber board of directors and is currently the treasurer of Equestrian Connection, a therapeutic horseback-riding program for children and adults with special needs. Judy has spent more than 28 years as a fundraiser and development consultant for Chicago’s nonprofit community. Judy’s clients love her dedication to teamwork, incredible attention to detail, organizational skills and belief in the importance of relationship-building in fundraising. 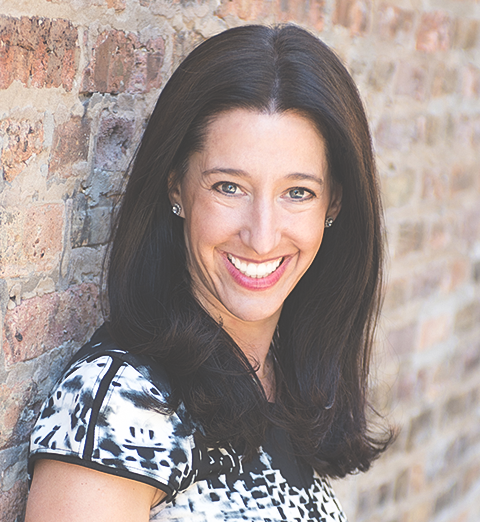 Before joining Giving Tree’s team in 2016, Judy was the Chicago director of Jewish National Fund, where she was responsible for fundraising, event planning and board development. Other professional experiences include ORT America, American Associates Ben-Gurion University of the Negev, Union for Reform Judaism, AIPAC and the American Technion Society. Judy received her master’s degree in nonprofit management from The New School for Social Research and her bachelor’s degree in Jewish studies from American University. A passionate Zionist, she studied at the Hebrew University in Jerusalem and has visited Israel many times. As an active community supporter, Judy serves on the executive board of Temple Beth-El and is also a trustee of the Chicago Jewish Women’s Foundation and the Charles and M.R. Shapiro Foundation. Judy is also a member of the Professional Mentoring Program at Roosevelt University. A proud mother of three, Judy lives in Long Grove with her husband. Lani brings 10 years of nonprofit experience in philanthropy, social entrepreneurship and leadership development to her work. Lani’s strong project management and communication skills, fresh perspective on organizational challenges, and commitment to her clients help her build meaningful relationships with organizational leaders and guide initiatives to success. 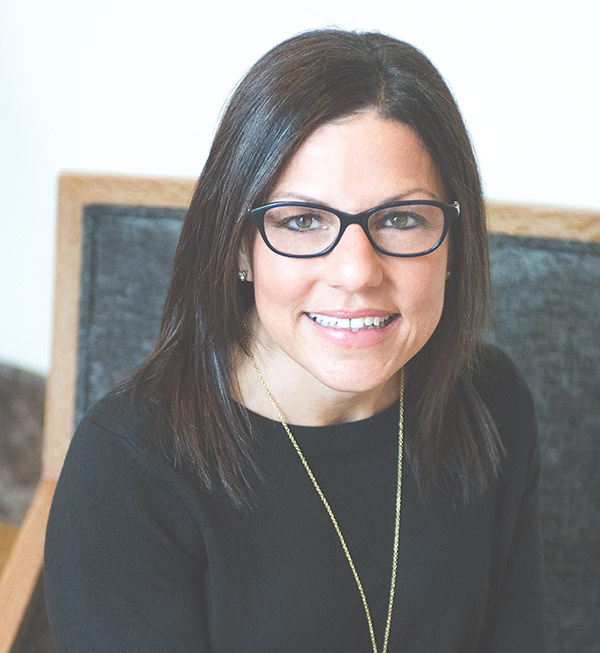 Prior to joining Giving Tree in 2016, Lani spent eight years working for The Jewish Federation system, most recently as the assistant director of talent acquisition and talent development for The Jewish Federations of North America. She also served as assistant director of young leadership at The Jewish Federation of Greater Washington, where she managed the department’s annual campaign, coordinated events, and worked with both donors and solicitors. In addition, Lani has served as a consultant for Blue Engine, PresenTense and the Taproot Foundation. Lani holds an M.P.A. in nonprofit management and a master’s degree in Jewish Studies from New York University, and is a recipient of the Federation Executive Recruitment and Education Program (FEREP) scholarship. She earned her bachelor’s degree from the University of Wisconsin-Madison. She lives in Evanston, Illinois, with her husband and son. Lani enjoys traveling, sports and spending time outdoors. Having spent her entire career in the nonprofit community, Jenny brings a wealth of knowledge across many sectors to her work, including disease prevention, performing arts, political advocacy and grantmaking. 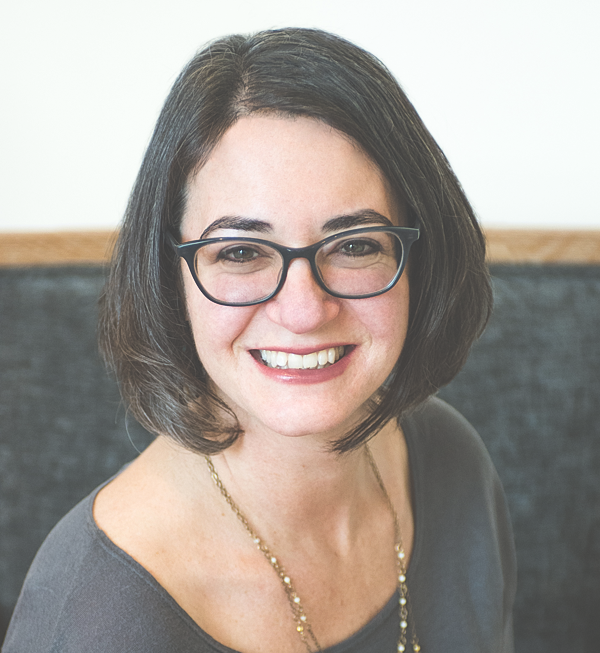 Jenny’s detail-oriented yet people-focused and cause-centered approach enables her to shepherd a variety of fundraising initiatives successfully. Prior to joining Giving Tree Associates in 2016, Jenny worked in Washington, D.C. at the Kennedy Center for the Performing Arts’ Washington National Opera and subsequently as the sole development officer at The Constitution Project, a prominent bipartisan think tank. In these roles, Jenny’s accomplishments include planning and executing an annual gala honoring U.S. Senators, a major media company CEO, a famous filmmaker and a global social media giant, nearly doubling the funds raised for the organization; founding a young professional board; and directly soliciting and securing major gifts from Fortune 500 companies and other large corporations. Jenny is a graduate of Georgetown University, where she earned a degree in classical studies and history and chaired Relay For Life, a major American Cancer Society fundraiser. A passionate philanthropic supporter in her personal life, Jenny is the co-chair of the Oak Park River Forest Community Foundation’s Next Gen Leaders in Philanthropy Advisory Board and Giving Group, a Next Gen Fellow with Exponent Philanthropy, and a member of the Chicago chapter of Emerging Practitioners in Philanthropy. She also serves on the board of trustees of The Donley Foundation, which funds education and literacy initiatives in underserved communities. Born into a family of die-hard Cubs fans, it’s no coincidence that Jenny moved back to her native Chicago just in time to see the North Siders finally win the World Series – she even attended the fabled Game 7 victory in Cleveland. She lives in Oak Park, where she and her husband love to spend time running, visiting the local farmers’ market, and binging on the latest HBO and Netflix shows. With 13 years of nonprofit experience, Laura brings a wealth of expertise in event production, annual campaign design and implementation, executive placement and data management to Giving Tree. Clients value her can-do attitude, personable nature and ability to build relationships and trust across teams with varied stakeholders. Events are Laura’s forte, as she thrives in projects with multiple priorities and deadlines. Since joining Giving Tree in 2013, Laura has served as interim director of development and assisted clients with fundraising event management, fundraising strategy and annual campaign management. Laura also works on Giving Tree’s executive search portfolio, vetting candidates for executive director, fundraising, foundation and marketing positions. Laura moved to the U.S. from Oxford, UK, in 2012. Before joining Giving Tree, she worked as a freelance fundraiser with various nonprofits, including Kids In Danger, Golden Apple Foundation and Seven Generations Ahead, and served on the Goldie’s Place board as the development chair. While in the United Kingdom, Laura worked in large-scale event production and annual campaign management at Earthwatch Institute and HEART UK. Laura received her degree in political science from the University of Birmingham, UK, where she chaired the student-led Raising and Giving Society, which is responsible for all campus fundraising activity and events. She is passionate about the environment and social justice and loves adventure travel with her husband. Ilissa joined Giving Tree in 2015, where she specializes in event management, fundraising campaigns and development communications. She also manages Giving Tree’s Speaker Series program, which began in 2016 as a way for the firm to give back to the nonprofit community. Clients value Ilissa’s thoughtfulness and positive approach to every task. She becomes a true partner to her clients, guiding them through the implementation process and providing them with the tools they need to build capacity for their organizations. 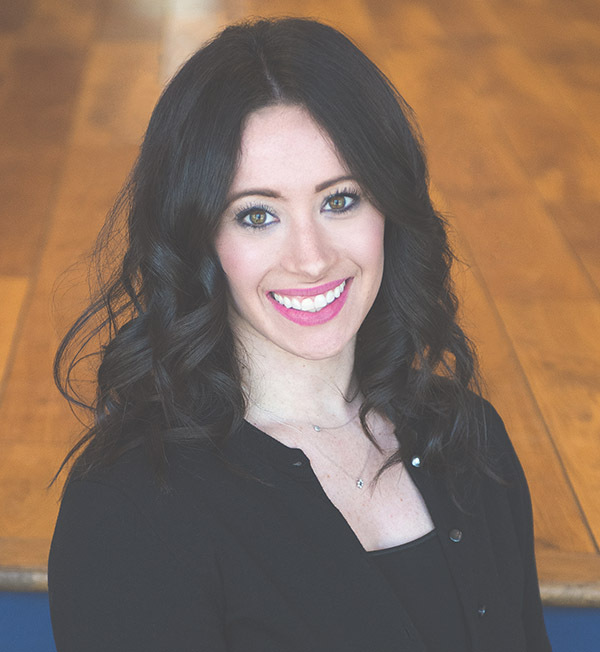 Prior to joining Giving Tree, Ilissa was an executive recruiter at Cook Associates and an associate consultant at Campbell & Company. During her tenure at these organizations, Ilissa was responsible for managing client projects and market research, exploring adjacent organizations and positions, and interviewing and performing due diligence on executive candidates. Ilissa also spent three years in recruiting for the accounting and finance industry. Ilissa received her bachelor’s degree in psychology with honors from Indiana University. She lives in Deerfield, Illinois, with her husband and enjoys hiking, spending time with her family and friends, exercising, and baking. Erika joined the team at Giving Tree in 2019 with more than a decade of nonprofit fundraising experience. Erika has elevated fundraising programs, strengthened annual fund and major gift support, secured critical project-based funding, and garnered increased support from individual donors. Fundraising career highlights include building advisory boards, strengthening individual giving programs and closing numerous major gifts for local, national and global organizations such as Roosevelt University, Feeding America, The Nature Conservancy and Chicago Opera Theater. Erika loves helping organizations build sustainable fundraising programs. She enjoys educating clients and empowering them within their development work and careers. She highly believes in the utilization of natural partners within each organization and the power of creating an organizational culture of philanthropy. While Erika has worked on teams responsible for raising millions of dollars, she finds her greatest achievement is when fundraising programs and best practices are in place to set the organization up to be sustainable and successful into the future. A graduate of Beloit College, Erika has a degree in Sociology with a concentration in business entrepreneurship. She then completed one year of service as an AmeriCorps-VISTA member focused on fundraising and community revitalization. Erika also holds a Master of Arts degree in Public Administration (MPA) with a concentration in Nonprofit Management from Roosevelt University, where she is currently adjunct faculty teaching the nonprofit track courses within the Public Administration department. Erika serves as the Vice Chair of the Development Leadership Consortium Board. She is a former member of the Beloit College Alumni Board and YNPN Chicago. Erika lives in Lakeview with her husband and cat (who loves to play fetch!). She enjoys volunteering, yoga, jewelry making, travelling, hiking, serving on boards and mentoring nonprofit development professionals. Pam joined Giving Tree in 2018 after 10 years as a professional volunteer, working to manage executive searches, oversee committees and chair events. Her leadership, philanthropic and fundraising experience lends itself perfectly to her role as an associate consultant at Giving Tree. Clients appreciate Pam’s ability to think strategically and see the big picture, while staying focused on the details to ensure that each project runs successfully. Pam previously worked as a strategy and operations consultant in New York, advising large corporations, law firms and banks on how to improve their organizational infrastructure to enhance service delivery and cost efficiency. Pam also has experience in corporate development for a startup employee management business. Pam earned a bachelor’s degree in advertising from the University of Florida. She spends much of her time volunteering in the Jewish community and for organizations serving people with disabilities, including Temple Sholom of Chicago, the Business Advisory Council of Jewish Vocational Service, Jewish United Fund, the Misericordia Women’s Auxiliary Board and March of Dimes. Pam lives in the Lincoln Park neighborhood of Chicago with her husband, Bryan, and their children, Emma, Samara and Jordan. She enjoys spending time with family and friends, working out, traveling, and being outdoors as much as possible during Chicago summers. Emily joined Giving Tree in 2018 as an Associate Consultant, bringing expertise in strategic communications, design thinking, and event management. She is thrilled to support clients as they work to tell the story of their impact in a meaningful way. 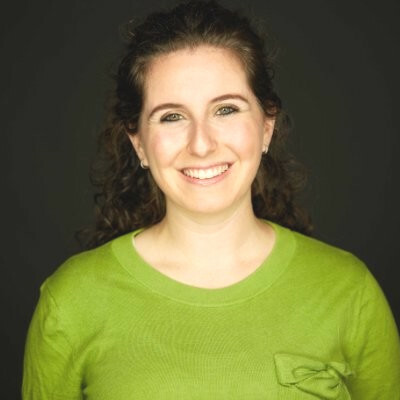 Prior to joining Giving Tree, Emily was part of the inaugural cohort of Hillel International Springboard Fellows, serving as the first ever Innovation Specialist at Hillel at the George Washington University. 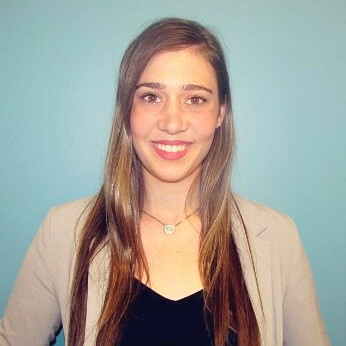 At GW Hillel, she led the team's external communication strategy and created initiatives for students to connect with religion in the age of Instagram. Emily studied Spanish and Integrated Marketing Communications at Northwestern University. A Chicago area native, she is glad to be back in her hometown cheering for the Cubs and reconnecting with friends and family. Amy Dahlem joined the Giving Tree team in 2019 as an Associate Consultant. 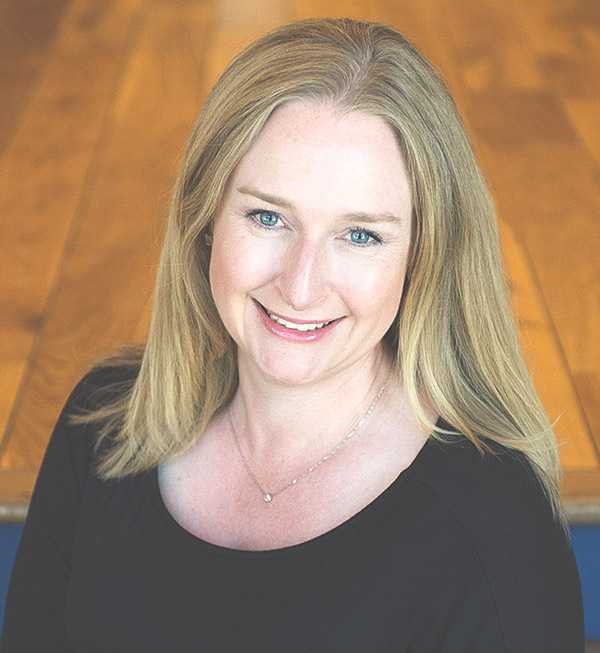 She offers a unique perspective on strategy and development having previously managed the customer experience operations at a fast growing start up, called Nurture Life. As one of their first employees, she learned the ins and outs of growing a business from the ground up and is an expert at wearing many different hats. Prior to Nurture Life, Amy worked at the National Runaway Safeline as a Development and Communications Specialist serving at risk, runaway and homeless youth. She is passionate about early childhood education as well as programming for underserved youth. After graduating from the University of Rhode Island with a degree in Communication Studies, Amy moved to Chicago where she currently lives with her boyfriend. In her free time she loves cooking, dancing with her dance company, and planning her next big hiking trip. With more than 15 years of experience working in business operations as well as volunteering for nonprofit organizations, Debra brings a valuable perspective to her work at Giving Tree. In her role as an Associate Consultant, Debra specializes in operations management, strategic planning and assessments. She also serves as the firm’s operations manager. Before joining Giving Tree, Debra worked for 15 years as the operations manager at Util-IT, Inc, a computer consulting company. 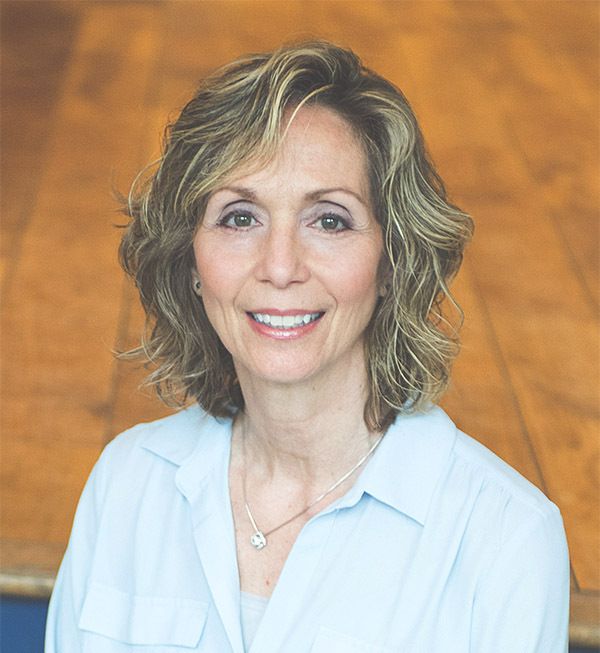 Debra earned a bachelor’s degree in comparative area studies from Duke University and a master’s degree in speech language pathology from Northwestern University. She currently serves on the board at Thousand Waves Martial Arts & Self-Defense Center, a nonprofit that fosters fitness, healing, empowerment and peacemaking through violence prevention, self-defense and traditional martial arts programs. Debra is also a member of Friends of Northside, a nonprofit organization that facilitates communication between parents and Northside College Prep High School, organizes parent volunteers, and fundraises for the school. Debra lives in Chicago with her husband, two children and dog. She loves to practice karate, grow vegetables on her rooftop garden, take adventurous vacations with her family and go for long walks along the lake with her dog.